In fact, in 2016, there will be three development opportunities for China's aluminum alloy door to door. At present, there are 100 million people in urban shantytowns. The country is expected to complete 15 million housing reform by 2017, which is a big business opportunity for the aluminum door market. The urbanization of our country has reached 50%, but in the 750 million population of the city life, 250 million of the migrant workers have not entered the city. This batch of people join the city, which is a potential market for the aluminum alloy entrance door industry. With the increase of population, the consumption demand of aluminum alloy doors and windows will be promoted to the peak period of marriage in the future after 80 and 90s. 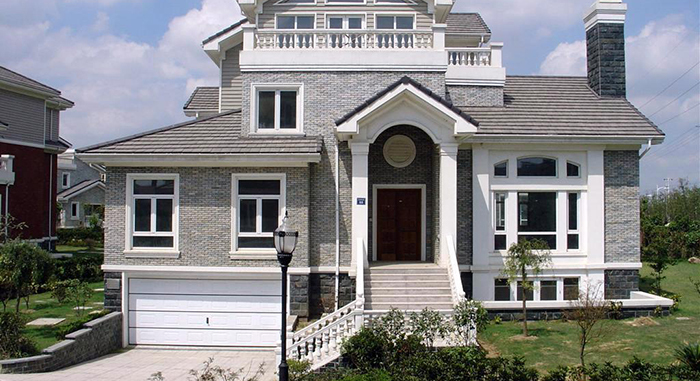 New demand for aluminum alloy doors and windows will be brought about by 2020 to double the income of urban and rural residents in 2010, which will stimulate the new consumption power and promote the continued sales of aluminum alloy door products. Although there are good policy favours, for aluminum door enterprises, relying on the Internet and good policy development is not the best way. "The Internet is just a tool and a way to sell. It wants to break through when the market is not very prosperous, and it can not rely on the Internet." People in the industry, "the key is to rely on their own products, if they still think of the same year, by plagiarism can achieve performance, it is difficult now, last year, still achieved two digit growth of the enterprise, the product design, product quality has spent great effort." As for the development of aluminum alloy door enterprises in 2016, we must first adhere to transformation and upgrading. In order to win the development, enterprises should improve the core competitiveness of the brand through scientific and technological innovation, product innovation and marketing innovation, enhance the added value of the brand, expand the brand influence, and then promote the sustainable and healthy development of the brand enterprises. Secondly, we should continue to improve the management level. The managers of aluminum alloy door enterprises should gradually realize the high integration of industrialization and information, apply modern technology to information and institutionalized management, adopt specialized production, transform traditional industries with modern technology, implement the concept of energy saving and emission reduction, reduce the consumption of resources and improve the utilization of resources. In addition, we should strengthen the concentration of the industry. It is necessary to adjust the industrial structure in the aluminum alloy door industry to solve the problem of the serious and foreign production of the products. Through the merger and reorganization of the enterprises, the industry concentration is strengthened, the poor quality of the products and the low operating efficiency are eliminated, and the export will continue to remain unswervingly, to occupy the market and to promote the aluminum alloy entry of our country. The door level.